I did see one somewhere in the forum, but that was a while back, it must have dropped back a few pages. I think you've nailed it, and the name fits with his pattern of choosing something close to the original. Name fits. I initially said I didn't think it nailed her, but then I went and looked at some of my own renders with Sandrine rather than the promos at CP and it's got her to a T, down to that slight cleft in her chin. Not really a celebrity, but someone almost instantly recognizable. Anyone know of a Fidel Castro morph running around? My inspiration for him was Harrison Ford. It must be a labor of love putting together such a long list. Just wondering if there's a Roger Moore morph out there? I seem to recall that there used to be either a Michael 2 or Michael 3 morph of the comic actor Marty Feldman ( "Young Frankenstein" ) available somewhere. Anyone have any leads to that one? 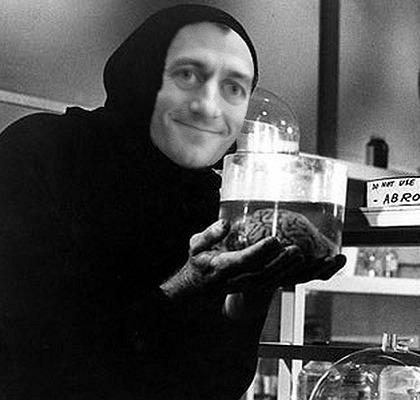 ... either that or... preferably, actually... er... ( treading carefully in the shadow of the TOS "political" dictate )...... an M4 facial morph of Paul Ryan? It sure would be nice to have all of these in some sort of an organized list. if we're allowed to ask/request? A counterintuitive request: could you guys please look at this character and say if she's a celebrity lookalike? I don't really know much about mainstream pop culture. That looks almost dead on to one I've seen, Sami Gayle on Bluebloods maybe. Thanks for the info, especially the lab! But... no Ryan morphs... yet? Evangeline Lilly (especially as the Elf Tauriel in the upcoming The Hobbit Films) - MRL Ariana. BTW, has Mihrelle actually confirmed anywhere that MRL Riley is supposed to be Jessica Biel? It doesn't look like her to me. Mihrelle's sets of actresses I know quite well are all very close and obvious in the face, also match the actress reasonably closely in the body morph, and pay a homage to an iconic or current film role in the clothing and hair in some of the previews. To me, anyway, the MRL Riley head only pays a passing resemblance to Jessica Biel, no more than to a number of other actresses with broadly similar features, and certainly nothing like as close as the ScarJo, Emme Watson, Kristen Stewart, Kate Beckinsale etc characters; the body morph is nothing like Jessica Biel's quite famous (or infamous) body; and I'm not seeing any of Jessica Biel's more noted roles in any of the promos. So i would be quite surprised (and rather disappointed at the lapse from form) if MRL Riley really is supposed to be Jessica Biel. Aeryn is a perfect example. Several think that's Amanda Tapping for some weird reason when it's not, it's ASHLEY GREENE! After very careful comparison of their faces side by side, it's Ashley Greene and not Amanda Tapping. Similar hairstyle, pale skin, even has a Vampire option for the eyes (and to my knowledge, Amanda never played a Vampire but Ashley has).